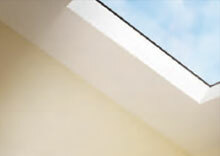 Lighten up your day with a quality Velux skylight. With a range of designs and options you can't beat a Velux Skylight. Nothing quite beats the true warmth from a traditional wood fire place. 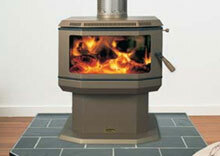 Suncrest stocks all of the major brands and offers a great price and advice. 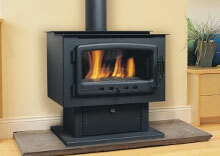 Add the atmosphere and heat of a traditional wood fire place without the smoke and mess. Gas is cleann cheap and efficient. 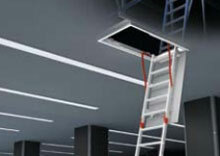 Reclaim that un-used roof space by installing a set of attic ladders. We provide everything you need from sales, to installation and even repairs. Suncrest Building Products is a family owned and operated business with over 30 years experience in the supply of high quality building products. We offer a wide range of Wood, Gas and Electric Heaters and Cookers, Spiral Staircases, Attic Ladders, Ironing Cabinets, Skylights and other architectural products. Brighten up your home with a Velux Skylight. Velux are the world leader in skylights and Suncrest Building Products can supply, install and service your new skylight. Skylights are a great way to bring natural light into your home and bring in natural warmth during winter. 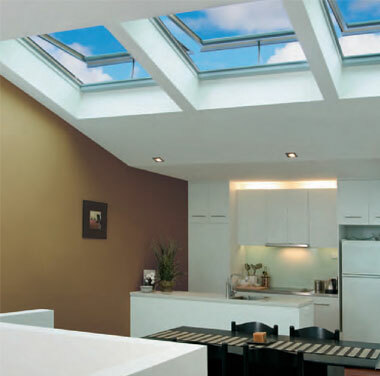 Velux has range of different styles and designs and we can help you choose the right skylight for your home in Perth. From the select timber frame and sash, to the energy efficient high performance double glazing, Velux skylights provide beauty and comfort regardless of climate, temperature or weather conditions.